BACK ON THE MARKET 4/20/2019. 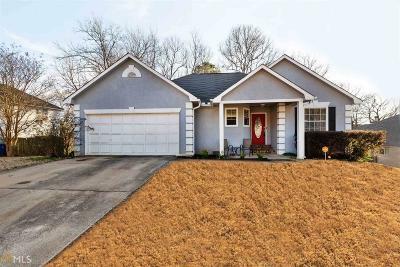 Don&apos;t miss out on this Charming & Well-kept Ranch style home featuring 3 Bedrooms 2 Bathrooms & garage has been converted to a Bonus Room. This home is priced to SELL! Open-concept Floor Plan perfect for entertaining & plenty of windows providing natural daylight. The Kitchen features Granite counter-tops, Tiled floors & Stainless steel appliances! Hardwood Floors throughout the home & Carpet in bedrooms. Master Suite features a full walk-in closet & Master bath has double vanities, separate Garden Tub/ Shower. Outdoor deck facing Large Backyard with unlimited potential. Roof is only 5 years Old!!! Wont Last Long!